Courtesy of RE/MAX TRIFECTA, David Silen. 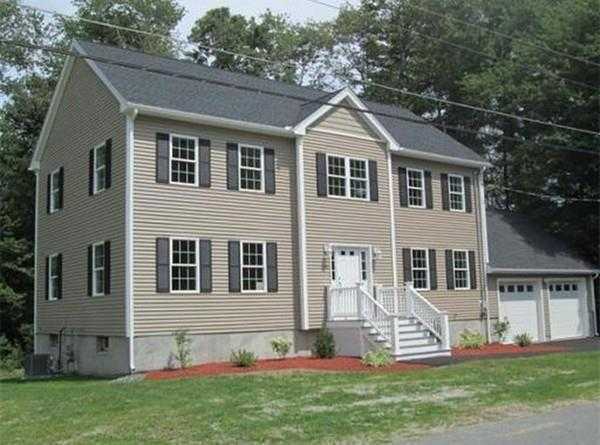 Newer Center Entrance Colonial on a one acre lot on a dead end minutes from 93. This 4 bedroom home with two car attached garage features gleaming hardwood on the first floor, maple kitchen with granite and SS, formal dining room with wainscoting and crown moulding, generous sized living and family rooms. Second floor boasts master bedroom with walk in closet and double vanity along with three additional bedrooms, main bath and enclosed laundry. Walk out basement is fully finished. In ground pool area makes this house an entertainers dream. Great property for a home business. Please, send me more information on this property: MLS# 72482380 – $709,000 – 120 Poplar St, Tewksbury, MA 01876. I would like to schedule a showing appointment for this property: MLS# 72482380 – $709,000 – 120 Poplar St, Tewksbury, MA 01876.